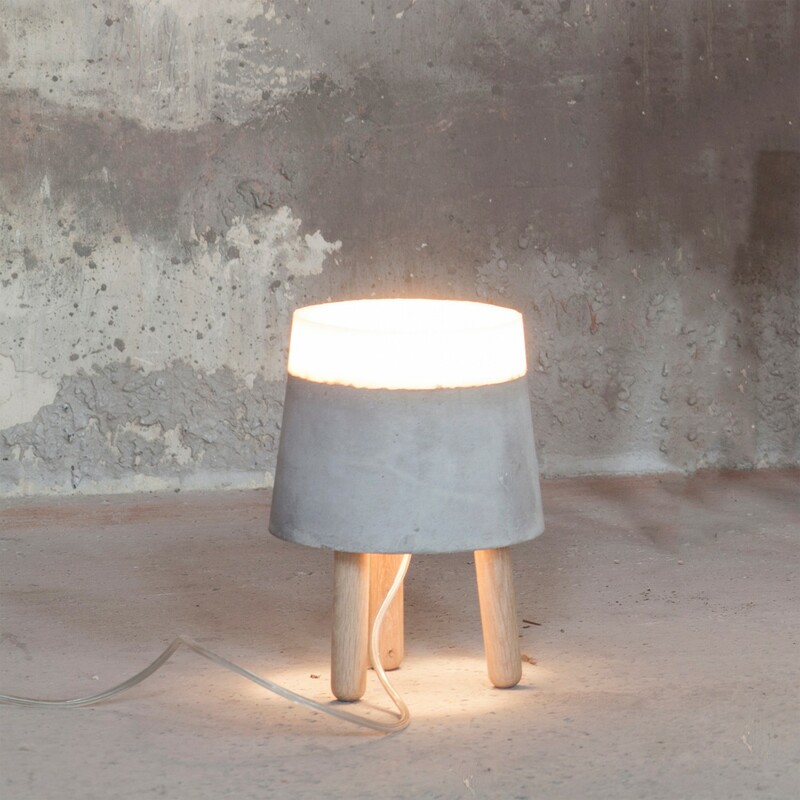 Dutch designer, Renate Vos, designed a a lamp range made from concrete and silicone rubber for Serax. 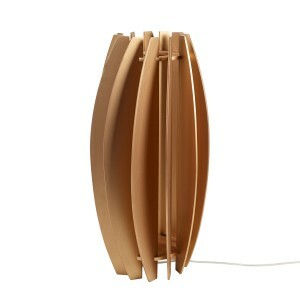 Despite its sleek appearance, the lamp emits a warm light. 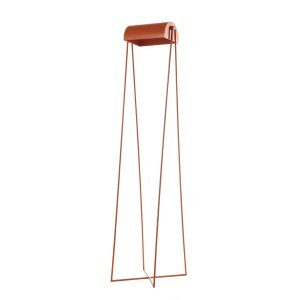 The starting point in all of Renate’s designs is her own fascination with a particular material or technique. Her creations are not conceived in advance, but develop during the working process. The ultimate goal is to create a functional implement that always brings with it a sense of wonder. This sense of wonder can arise from the application of a certain technique, your own interpretation of work, or the new use of a material. 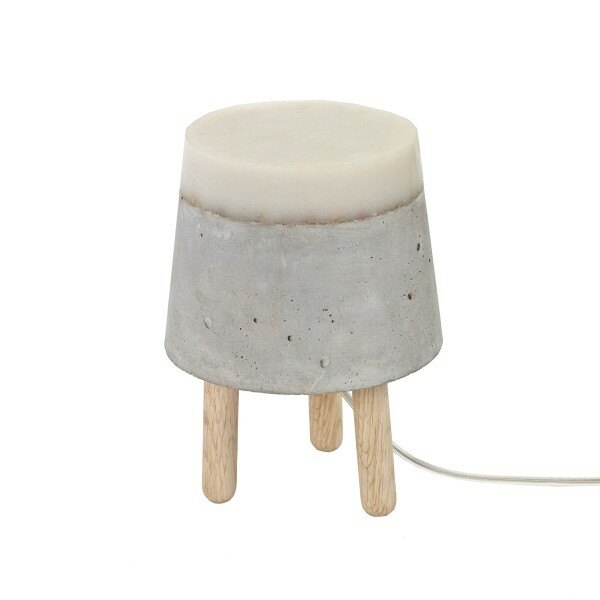 Concrete, oak & silicone rubber. 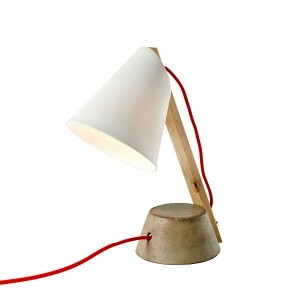 A modern table lamp with Scandi design traits, made from concrete, oak and rubber. 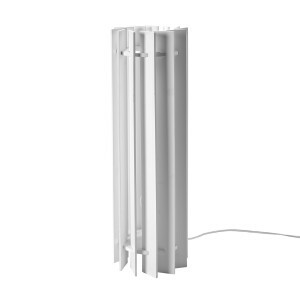 The silicon rubber at the top of the lamp means despite the somewhat rough concrete finish the lamp is soft and emits a soft glow when turned on. The Beton concrete lamp is ideal for bedside tables, side tables or consoles or kids rooms.